FORGEXSIT an plan a great 2019 with your CCCamper. It's time for a change. BRITVISTA forget Brexit with potential travel issues, plan to visit Britain this year instead. Summer 2018 was UK's joint hottest on record, Met Office says. 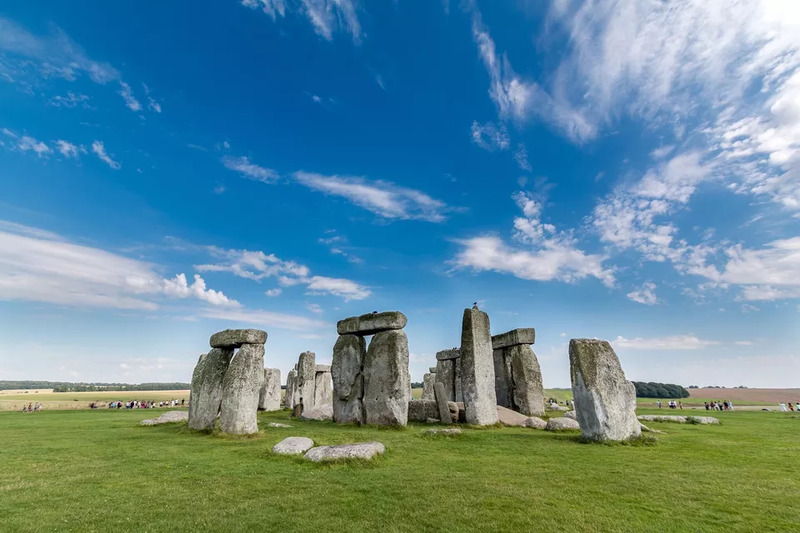 No one knows for sure who built Stonehenge, but scientists are finding out more about them all the time. Whoever they were, they gathered here as long as 5,000 years ago - and people are still drawn to this mysterious presence on Salisbury Plain tens of thousands of years later. The first time I saw Stonehenge, a friend and I had decided to visit for the Vernal Equinox. The first day of Spring is one of the times the sun aligns with various stone arches and lintels to dramatic effect and for an unknown purpose. We arrived early, parked and hiked across a muddy field to the monument. No one else was there and we walked around it freely. Posing for each other's cameras, leaning against the stones and pretending we were Druids. It doesn't seem all that long ago, but things have changed dramatically since Stonehenge became the focus of modern-day Pagan and New Age celebrations. Thousands now show up to celebrate the sunrise of the longest day - Summer Solstice at Stonehenge. Since the opening of a new visitor centre in 2013, Stonehenge is a lot more satisfying to visit. Archaeologists and anthropologists have literally been digging into the landscape a few miles away from the monument and they've come up with some startling new ideas that you can explore in depth at the site. 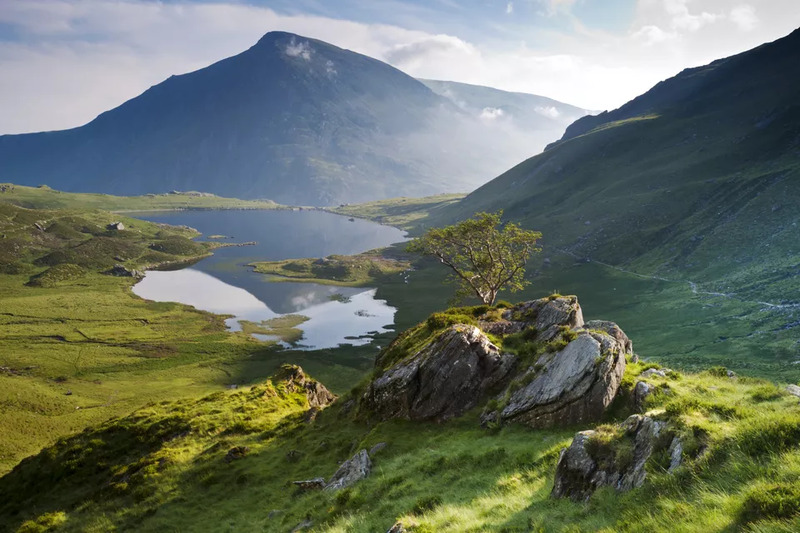 Snowdonia has deep glacial valleys and some of the oldest rocks on earth. Fossil shell fragments found on the top of Mt Snowdon are the remains of life on a seabed 500 million years ago. Successive ice ages shaped the mountains of Snowdonia National Park, in North Wales, grinding smooth their profiles. Surprisingly, these mountains are not particularly high -- Mt. Snowdon, the highest peak in the range, is only 3,560 feet. But there is an undeniable presence in the way their brooding bulk hangs over wide, U-shaped valleys. This is a terrific country for mountain walks and gentler leisure walks as well as riding, cycling and pony trekking. It is also among the most dramatic landscapes in the UK and has the most rapidly changing weather. A great way to see both is to travel to the top of Wales on the Snowdon Mountain Railway. 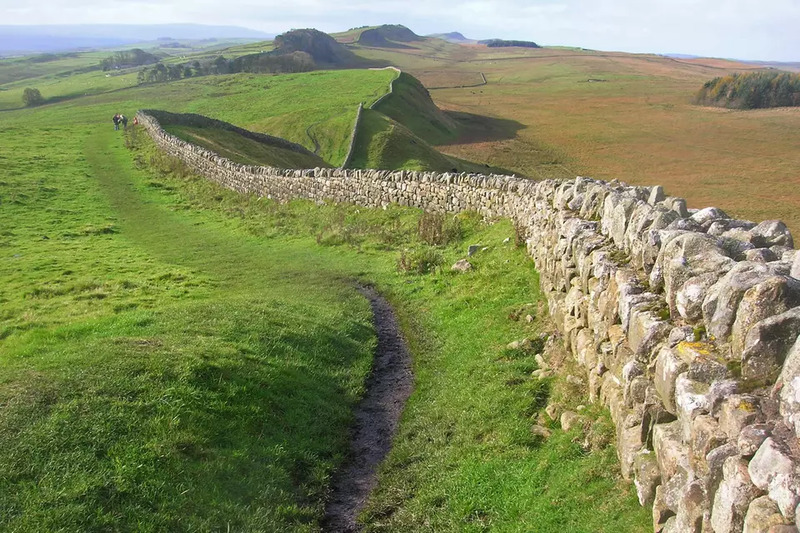 As the Roman Empire began to crumble, the Romans built a defensive wall, across the North of Britain, from Carlisle to Newcastle-on-Tyne, to keep out Picts invading from Scotland. No one knows how long it might have held because troubles in the rest of Europe drew the Romans away from this northernmost reach of their Empire. Today, remnants of the wall can be found for about 73 miles - a lot of those remnants forming stone fences, stone barns and the cobbles in stable courtyards. Excavations at Vindolanda, a fort, and village on Hadrian's Wall, provide a fascinating glimpse into the life of a Roman legion at the edge of the empire. Exhibitions at Vindolanda and the nearby Roman Army Museum include poignant evidence of the Roman soldier's life in Britain. Included are rare letters home, written in ink on wood, asking for warm clothing and socks. British visitors voted York Minster, the largest medieval gothic cathedral in Northern Europe, one of the Seven Wonders of Britain. It's not surprising. This enormous and beautiful Gothic cathedral is like nothing else in the UK. It took about 250 years to build -- between 1220 and 1472, but there was probably a Roman Basilica on the site as early as 306 A.D. And that may have been built on top of a Roman fort. The recently restored, 600-year-old East Front has a stained glass window as big as a tennis court - the biggest expanse of medieval stained glass in the world. If you're interested in amazing statistics and quirky facts, these Fantastic Facts About York Minster will give you plenty of ammo for your next pub quiz or trivia game. 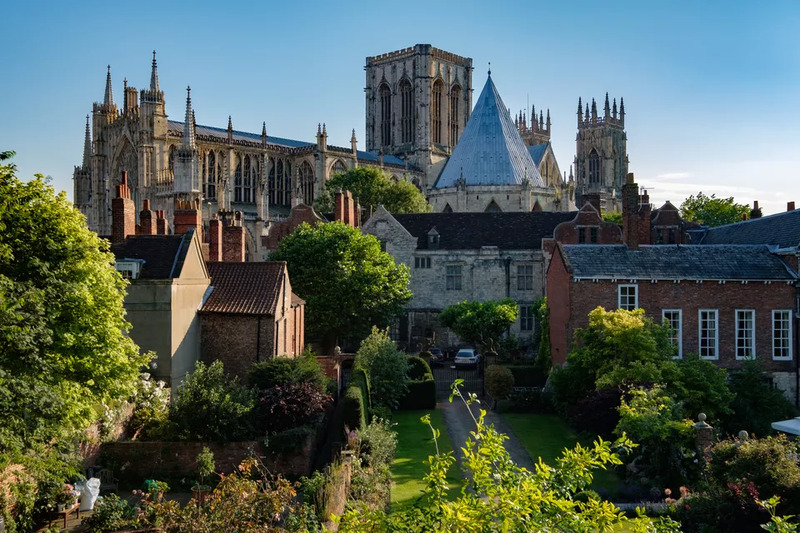 And there is plenty more to see and do in York, Britain's Bijoux medieval city. Yorkshire folk still do afternoon tea the way it should be done - with rich cakes, neat sandwiches, and a bottomless teapot. The best place to have afternoon tea after a visit to York Minster is Bettys Cafe Tea Rooms another famous institution in the City of York. 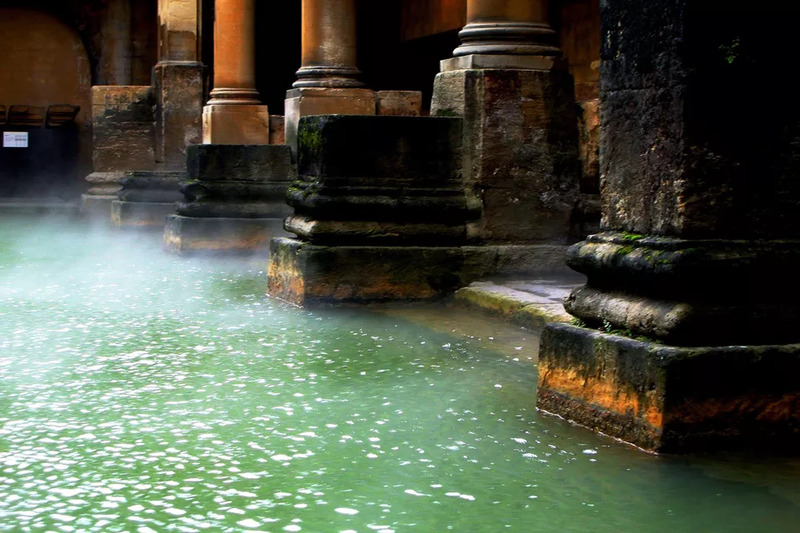 From sacred Roman hot spring to an 18th-century spa and inspiration for Jane Austen, Bath entertained high society and soothed their aches and pains for years. A sacred fountain, possibly dedicated to a Roman goddess, hints at the origins of the elaborate Roman Baths that grew up around a natural hot spring in what is now the city of Bath. Luck and geography managed to protect the site, considered to be the best preserved religious spa from the ancient world. It was the only Roman bath in the world fed by a natural hot spring, rather than artificially heated water, so for the ancients who visited, it was much more than a watery leisure centre. The complex you can visit now also includes the 18th century Pump Room, where fashionable people once socialized and "took the waters". Most of Jane Austen's novels, sooner or later, involved a "season" of high-class husband hunting in Bath. You can still drink from Bath's natural hot spring before going for lunch in the Pump Room. Going to Stratford on Avon may seem like something of cliché but so what? Don't be a travel snob - there's a lot to enjoy. According to my British friends, the best place to find Americans in the UK is Stratford-upon-Avon. It's all right for them to be a bit ironic. They're completely immersed in Shakespeariana from a very early age -- even when they don't know it. Anne Hathaway's Cottage, pictured here. 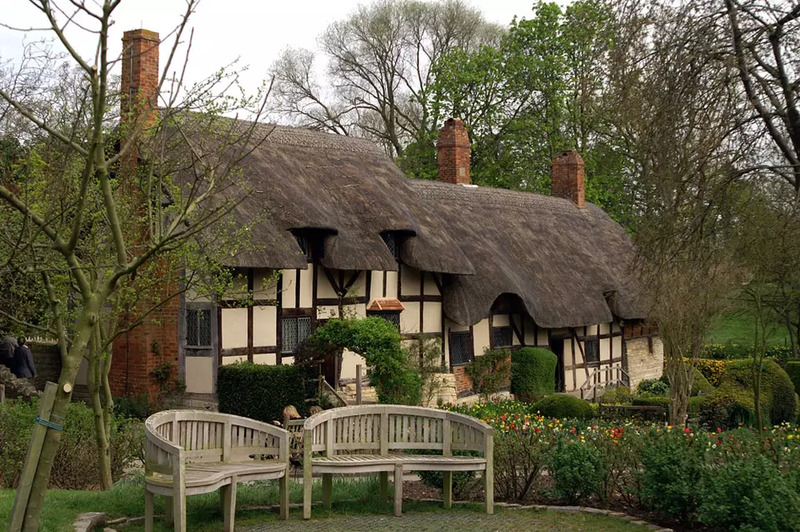 The pre-marital home of Shakespeare's wife is actually about a mile outside of Stratford, in Shottery. Shakespeare's Birthplace, the most visited literary landmark in the UK. You can see the room the Bard was born in. The Mary Arden House, Shakespeare's mother's beautiful Tudor farmhouse. Hall's Croft, home of Shakespeare's eldest daughter, Susannah, and her rich and successful doctor husband. Holy Trinity Church, the site of Shakespeare's burial and a beautiful medieval church in its own right. Of course, Shakespeare is not about bricks and mortar and no visit to Stratford would be complete without taking in a play or two at the Royal Shakespeare Theatre. Even if you've always wondered what all the fuss was about, the company's imaginative and sometimes irreverent style will open your eyes. The Iron Bridge spanned a wild gorge of the River Severn near Coalbrookdale in 1779. Iron founders and budding industrialists rushed to see it. A huge number of early industries gathered around this strikingly beautiful river gorge in rural Shropshire in the late 18th century. Even in its own day, the gorge was famous for its technological marvels. Contemporaries described it as "the most extraordinary district in the world". And so much of that early industrialization survived into the 20th century, that the story of the products that set the industrial revolution on its path, and the machines that made them, is still visibly told. 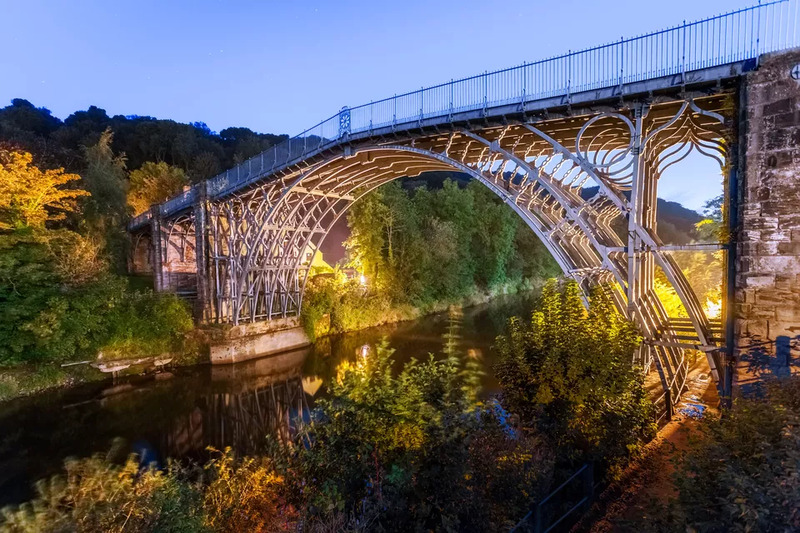 With its 18th century furnaces, factories, workshops and canals, the Ironbridge Gorge became known as "The Birthplace of Industry". Today, there are 10 museums on 80 acres at the Iron Bridge Gorge UNESCO World Heritage Site. The award-winning museums range from China and tile makers to an entire, recreated Victorian town, Blists Hill. Ironbridge Gorge is enormously popular with families and anyone interested in early industries. 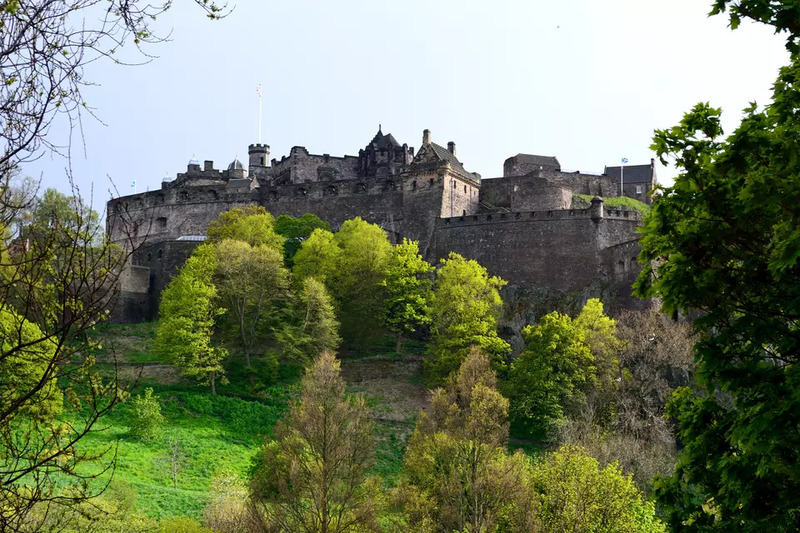 High up on what is believed to be an extinct volcano, Edinburgh Castle is an ancient fortress at the heart of Scotland's capital city. It has dominated the city for almost 1,000 years. The landmark is visible from just about everywhere in Edinburgh. The castle has had many uses over the years. In the 18th and 19th centuries, it was a prison for sailors. Some incarcerated in its dungeons and who left graffiti on their prison walls sailed with John Paul Jones, founder of the US Navy. More than a million people a year visit Edinburgh Castle, thousands to attend the Edinburgh Military Tattoo, a colourful pageant of the Scottish regiments, complete with bagpipes, tartans and lots of horses, held every August. For an unusual vantage point of the castle, climb Arthur's Seat, Edinburgh's other extinct volcano. 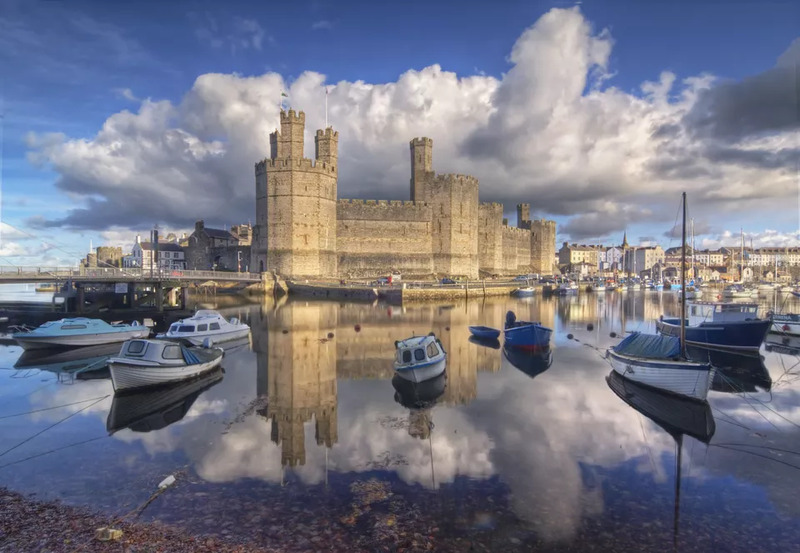 Caernarvon Castle was a symbol of kingly power in a country full of castles and one of the best-preserved examples of Edward I's ring of steel around Wales. King Edward I, known as Longshanks, ringed Wales with castles, in the 13th century, as a way of subduing the rebellious Welsh and cementing English power over them. He intended Caernarvon Castle to be a Royal residence and the seat of his government in North Wales. The first Prince of Wales was born there in 1284. The latest, HRH Prince Charles, was invested at Caernarvon in 1969 in a ceremony televised around the world. Caernarvon is the finest of Edward's many castles, still standing, all over Wales. But Edward's castles are only part of the remarkable number of castles you can visit in Wales, from prehistoric strongholds and Norman Castles to the fortresses of Welsh princes. Here are some others worth seeing. The British have an expression for too much of a good thing. It's "over the top," they say. 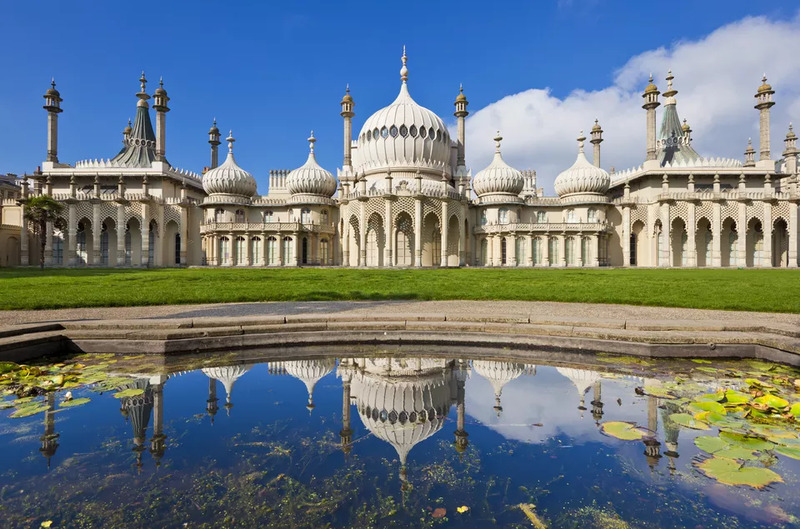 If ever a building exemplified the concept of over the top it is the Royal Pavilion, Brighton, the splendid summer house built by George IV when he was Prince Regent. Governing as Regent for his father, George III (who was thought to be mad), George IV had a reputation for gambling, womanizing and generally living it up in a style that came to reflect the entire era. In the early 19th century, his architect, John Nash, slapped a cast iron framework around an older, simpler farmhouse and, well, just went to town, really. The pseudo-Indian palace, with Chinese influenced interiors, is a riot of colour, expensive fabrics, crystal, and gilt. It's very popular, a must for visitors and only about an hour by train from London. Cornwall, with its south coast of broad sandy beaches and north coast of dramatic cliffs and caves, its tiny harbours and fishing villages, has long attracted artists and vacationers from both the UK and abroad. St. Ives is the area's premier artists colony with fishermen's cottages, steep cobbled lanes, crafts shops and Britain's mildest climate. 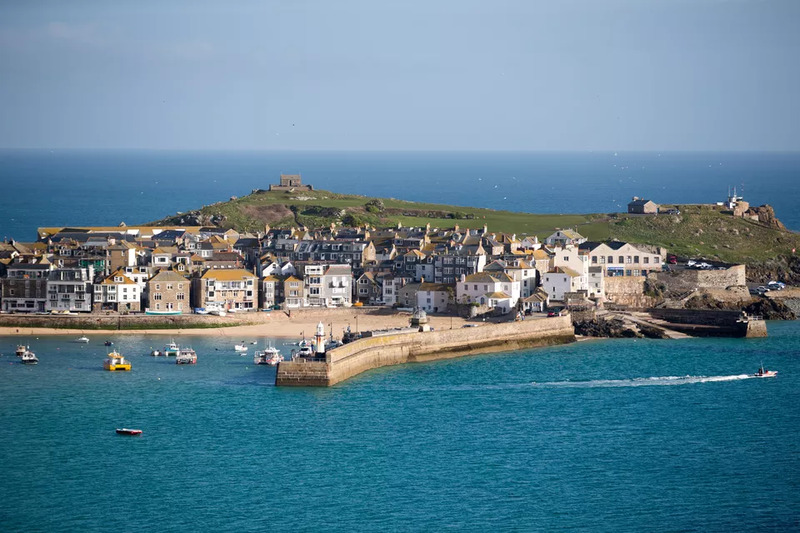 The lively cultural scene is spearheaded by the Tate St. Ives, one of the UK's newest national art galleries, showcasing important local work as well as travelling exhibits from the UK's national art collection. Typically for an artists community, there are also very good restaurants and charming hotels -- not to mention the palm shaded beaches. Lunch on Porthminster Bouillabaisse, made from local seafood at the Porthminster Beach Cafe overlooking one of those palmy beaches. Or find your way to 45 Fore Street to the unpretentious Sea Food Cafe, for the local catch. Pick your fish and shellfish from a refrigerated cabinet and then tell the staff how you want it cooked.